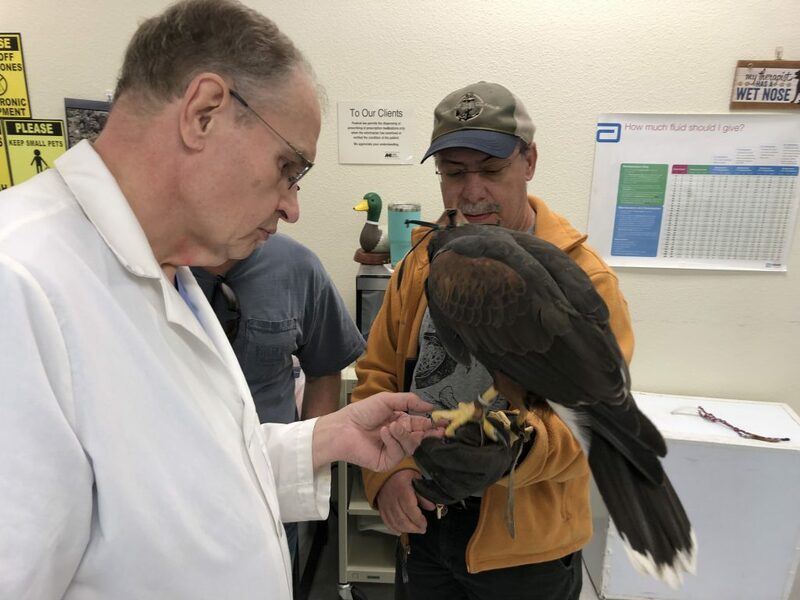 Students in the Veterinary Technology program at the College of Southern Nevada had a special visitor in the clinic earlier this month: a 22-year-old Harris Hawk named Zara. 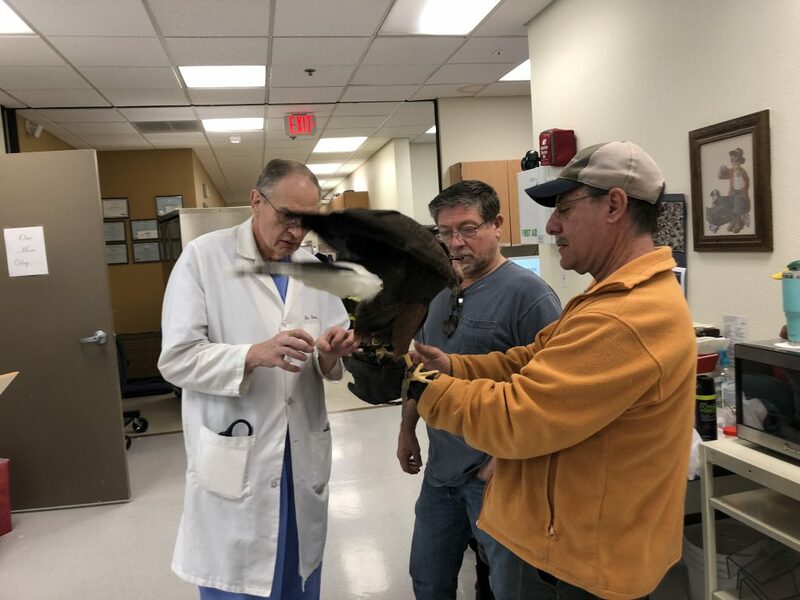 Under the direction of program Director Dr. Dennis Olsen, students assisted in a CT scan of the bird, who injured a talon and was having trouble gripping with her claw. 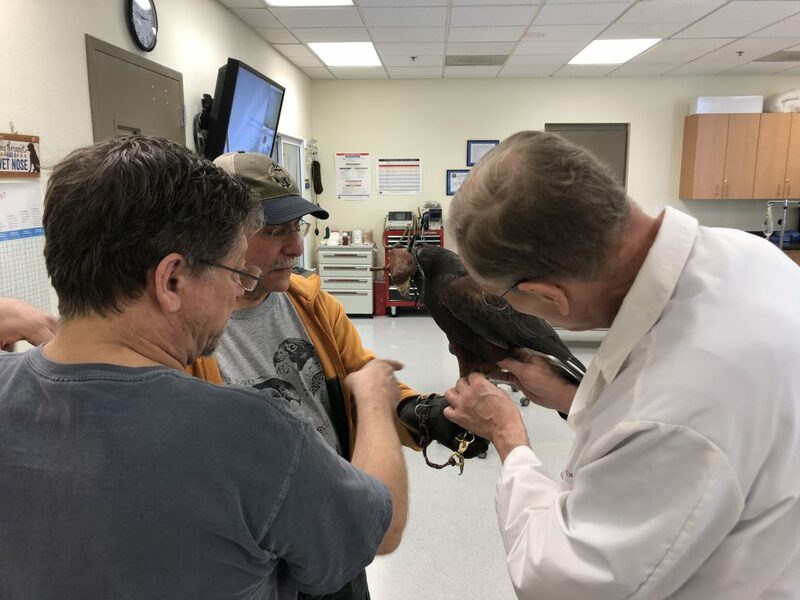 It’s the first time a bird has been put in the state-of-the-art Vimago veterinary CT scan machine, one of only two Vimago systems in the state of Nevada. 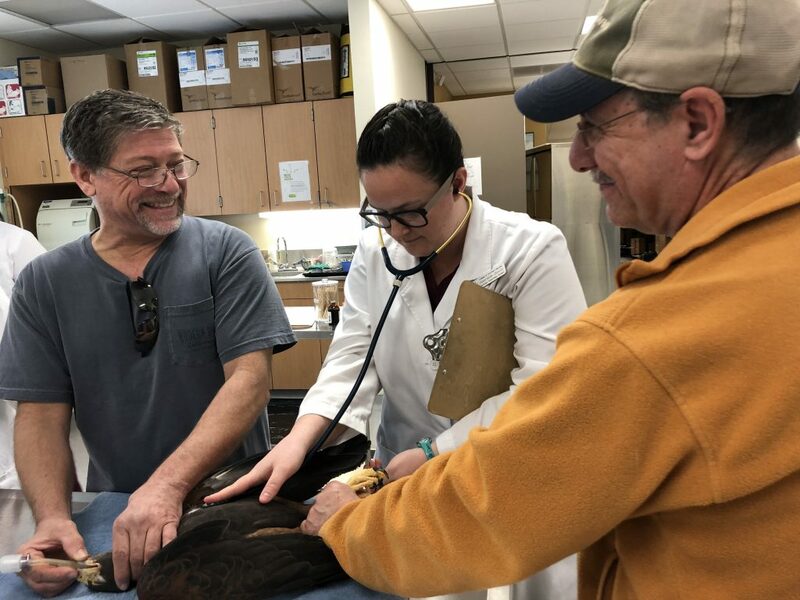 Zara and her owner, Alfonso Uceda, came to the lab through Dr. Dominic Cacioppo. 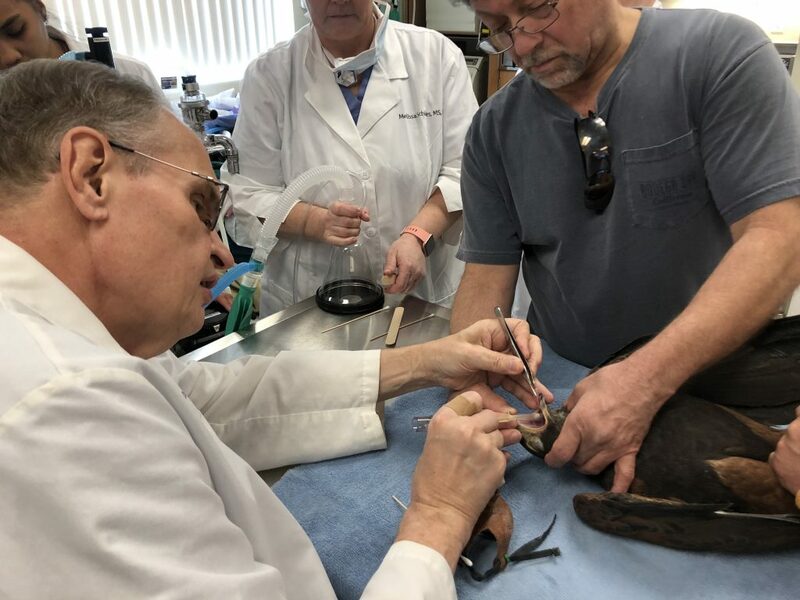 Cacioppo owns Park Animal Hospital. 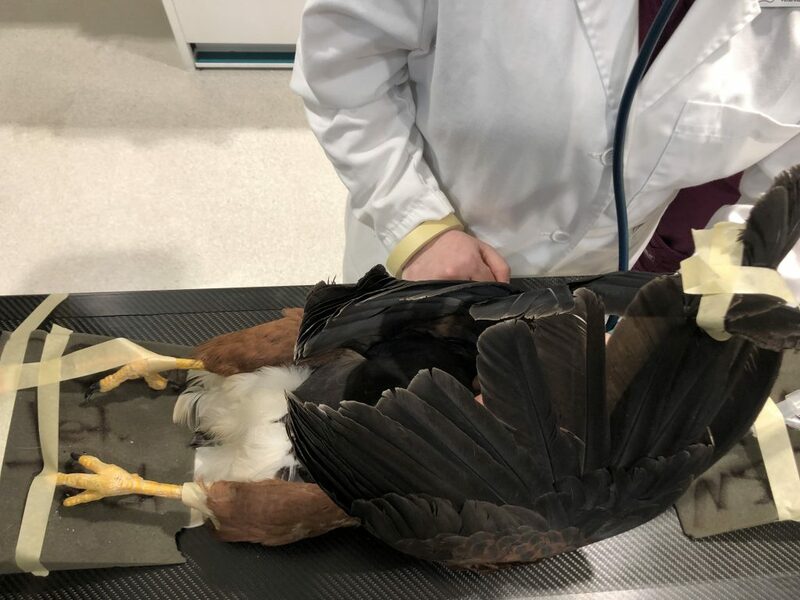 The two suspected Zara had suffered a strained tendon during a recent hunting excursion, but Cacioppo didn’t have the appropriate equipment in his practice to get a good look. 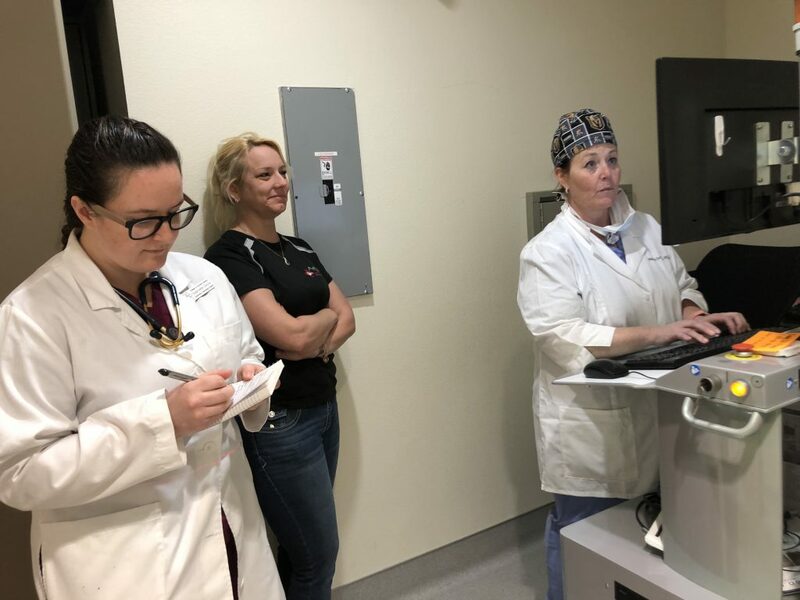 The Vimago machine, which CSN purchased in mid 2016, allowed for better imaging of the area. 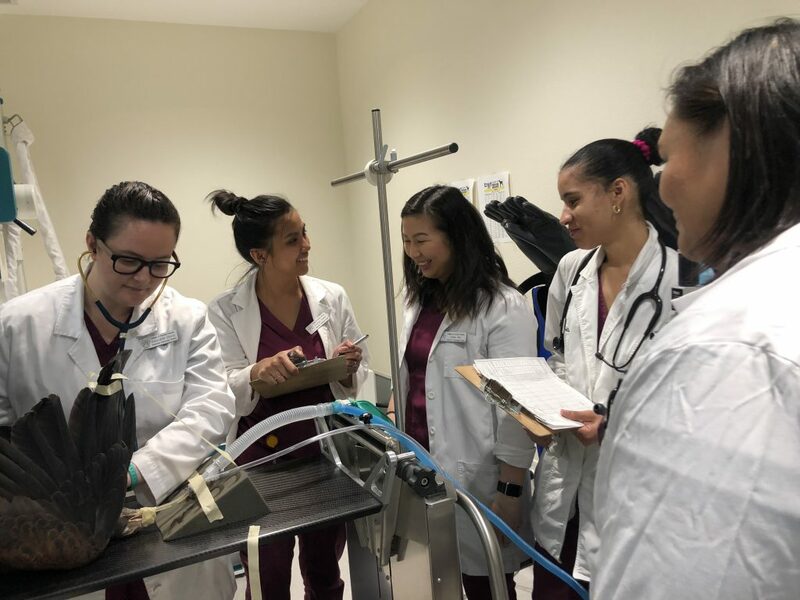 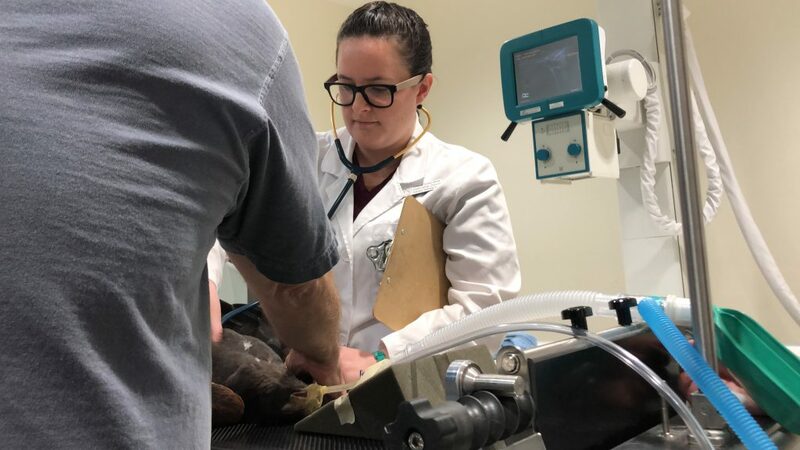 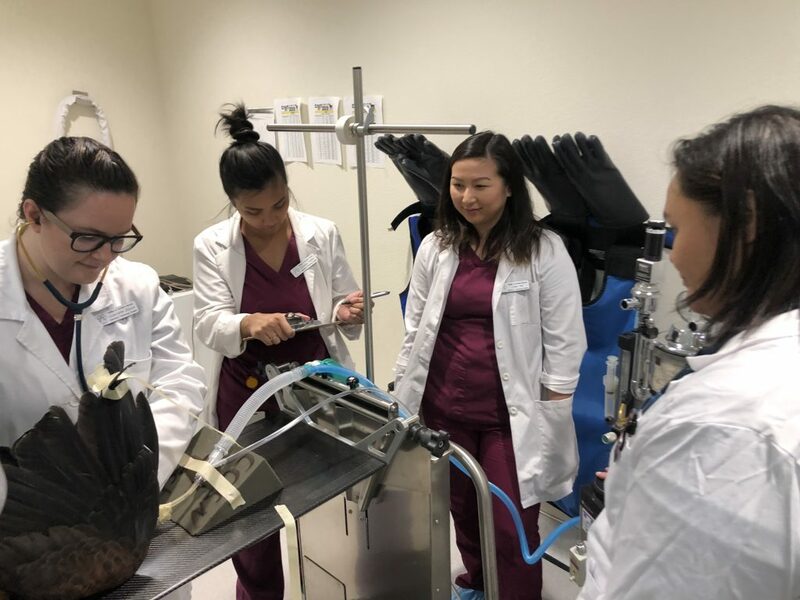 Second-year veterinary technician students sedated the bird, intubated her and set her up properly under the mobile CT machine to create an image comparing both of her legs. 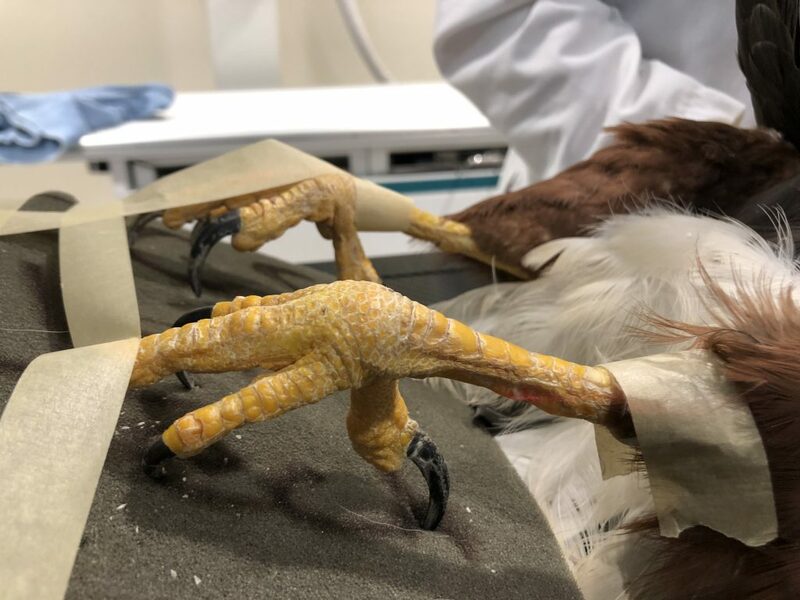 Setting her up properly in this case meant using masking tape – which would not harm the bird – to position the feet correctly and secure the wings out of the way to get the best image. 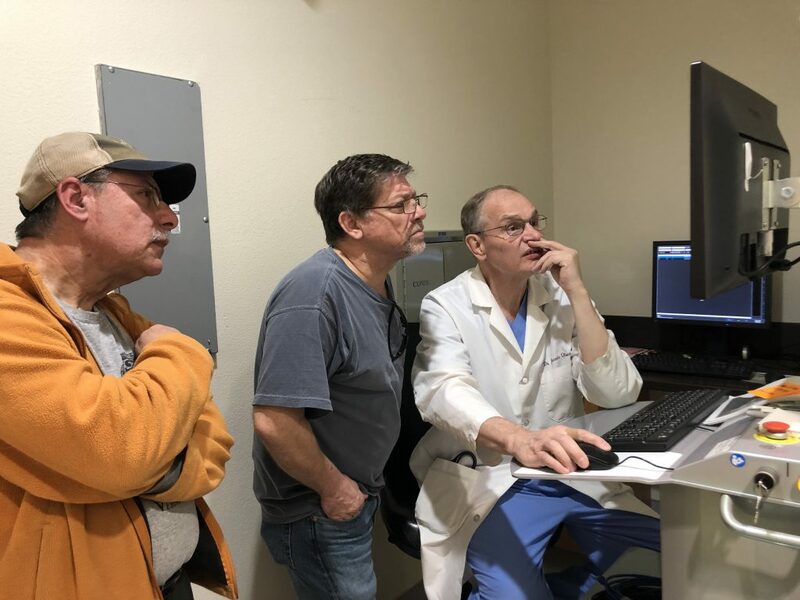 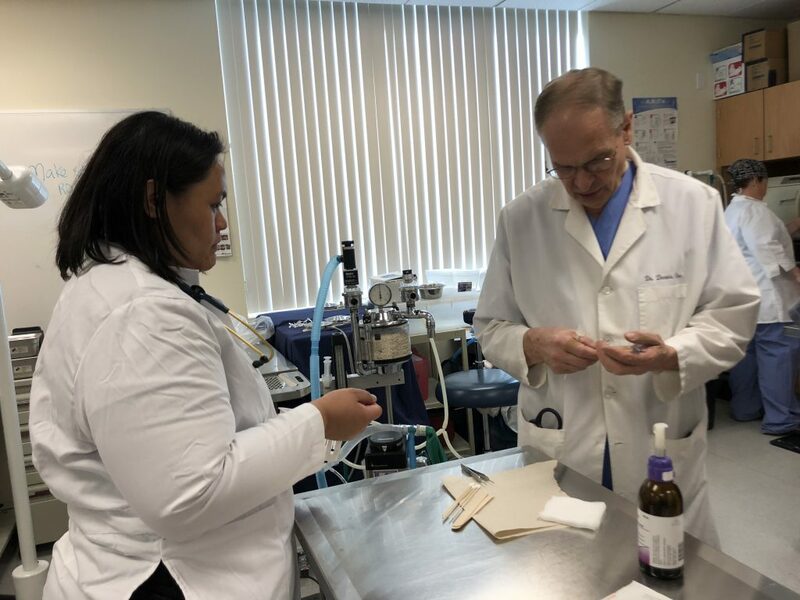 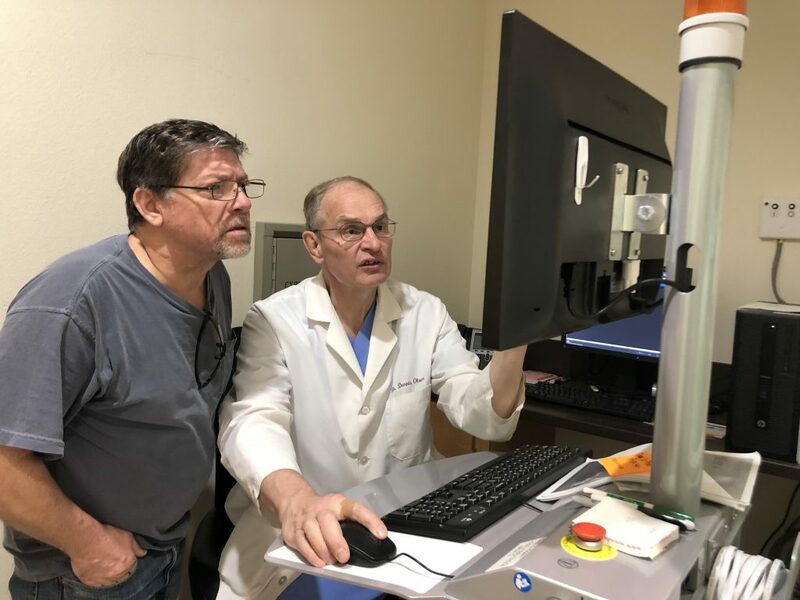 The images will be evaluated by a board-certified radiologist who works with the CSN program, but Dr. Cacioppa and Dr. Olsen said the initial tendon concern seemed to be the case. 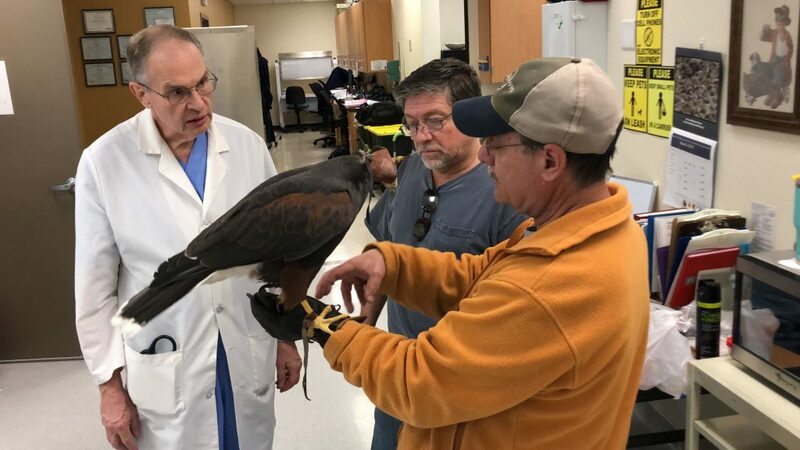 At age 22, Zara has lived longer than most hawks of her type, said Uceda. 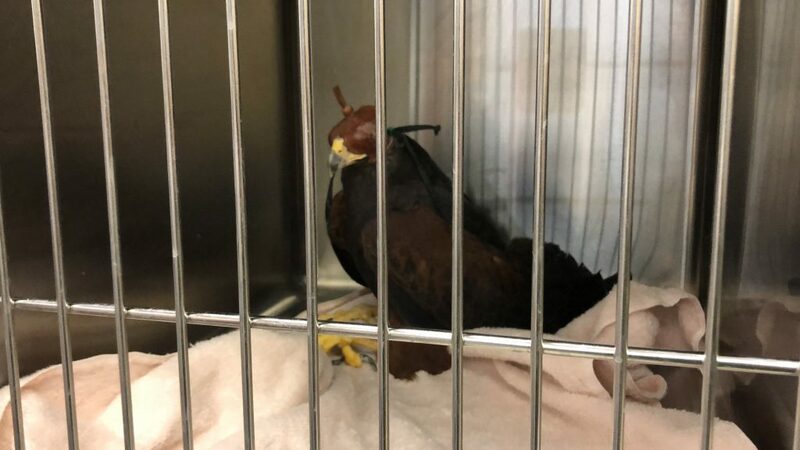 Her hunting days are likely over now because of her injured talon. 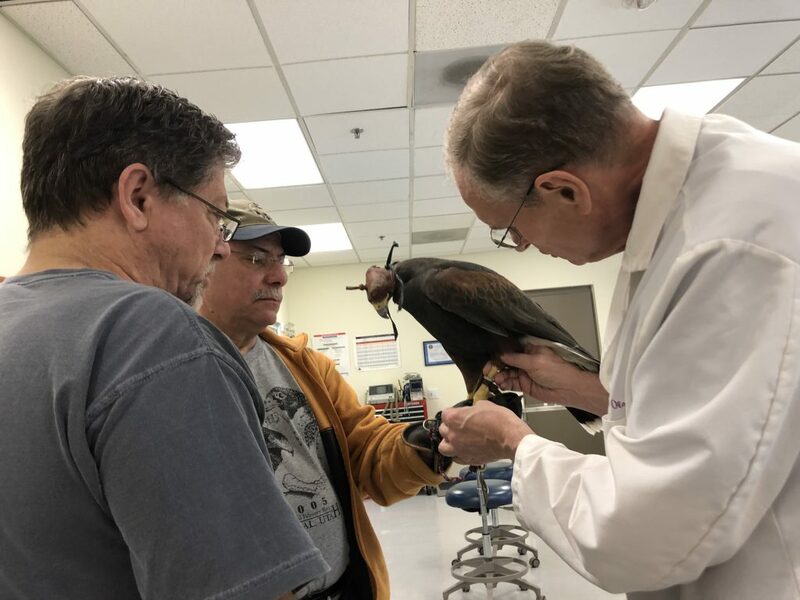 Uceda, who owns three other falcons, said they would hunt enough food to continue to provide for Zara to live out the rest of her life well-fed and in comfort. 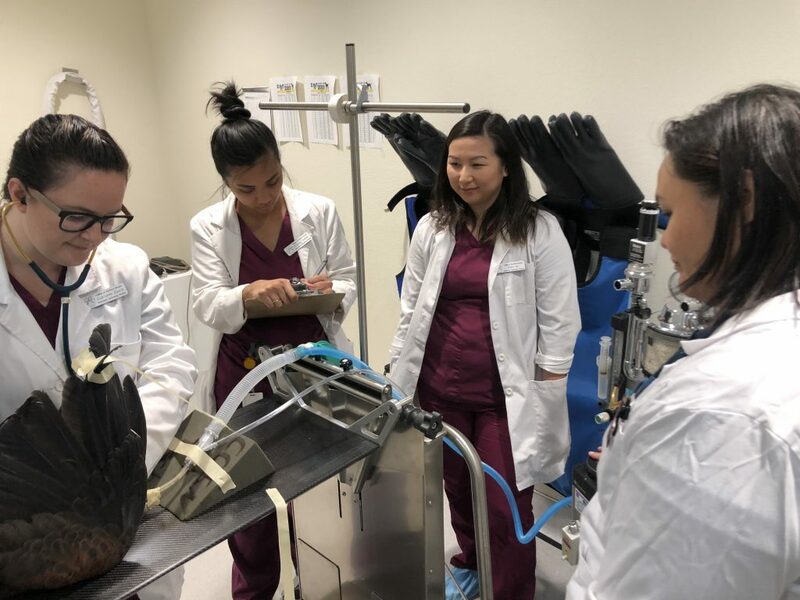 CSN’s veterinary technician clinic includes the radiology area, a surgical suite, traditional X-ray equipment as well as blood and fluid testing equipment to properly train students across the board. 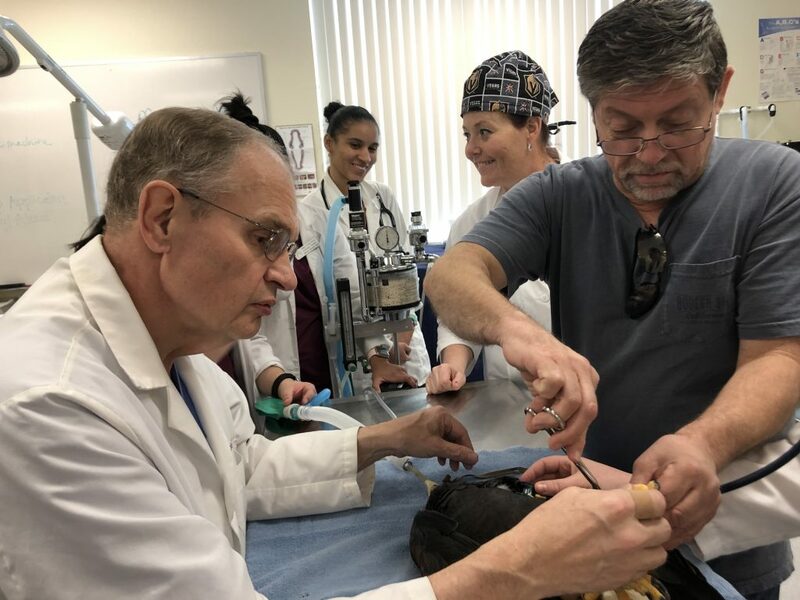 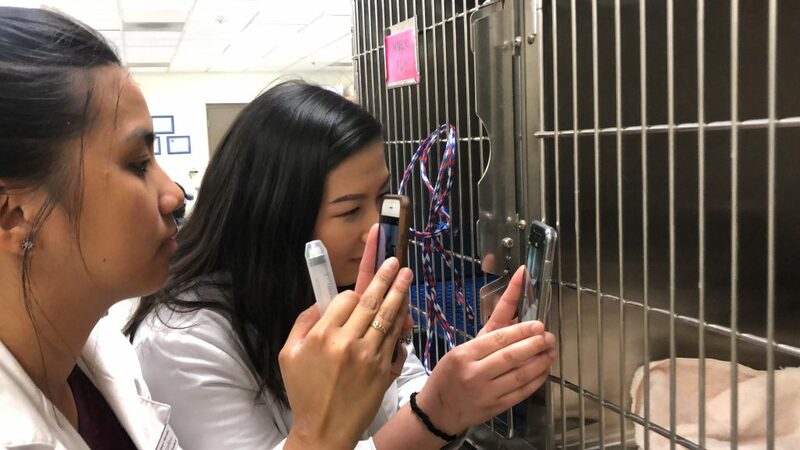 Students and instructors bring in a variety of pets, including bearded lizards, snakes, rats, cats and dogs for students to familiarize themselves with during their studies.